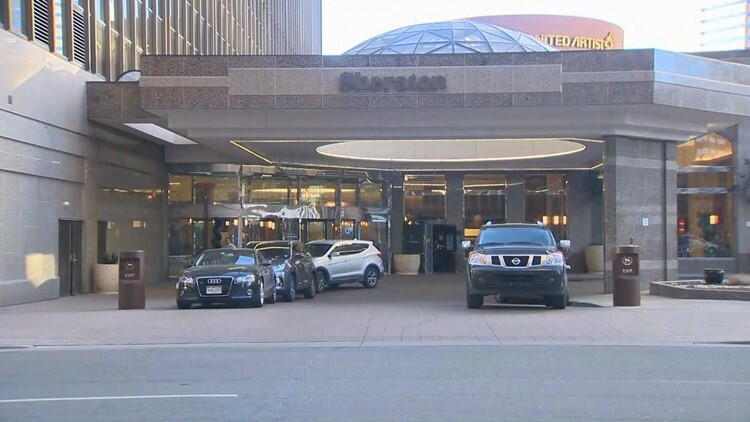 Pipe bombs were found at the downtown Denver Sheraton in a hotel room 35-year-old Adam Hayat was staying at. On February 15, 2017 hotel Sheraton hotel staff found the word "explosives" written on the closet door of a room that had been occupied by Adam Nauveed. The man who was arrested after pipe bombs were found in his downtown Denver hotel room last February pleaded guilty to three counts of possessing unregistered firearms on Wednesday. According to court documents, Adam Nauveed Hayat, 36, had been staying at the Sheraton at 1550 Court Place. After he failed to pay his bill, hotel staff went to his room to check on him, where they found the word “explosives” written on the closet door mirror. Police were called, and when the officer opened the closet and safe, the officer found a closed ammunition case. Also found in the hotel room were several metal pipes and empty rifle shell casings. The DPD officer immediately contacted their bomb squad. The DPD Bomb Squad carefully examined the ammunition case and found pipe bombs. The bomb squad then removed the ammunition case from the hotel room and transported it to their bomb range, where they rendered it safe. Denver police, then federal authorities, issued an arrest warrant for Hayat, who was later taken into custody at a hotel near Los Angeles International Airport on Feb. 16. This case was investigated by the FBI, ATF, and the Denver Police Department. Hayat is scheduled to be sentenced on August 14, 2018.